Roughly bounded by Central Avenue and Seventh Street, Camelback north to Oregon Avenue. 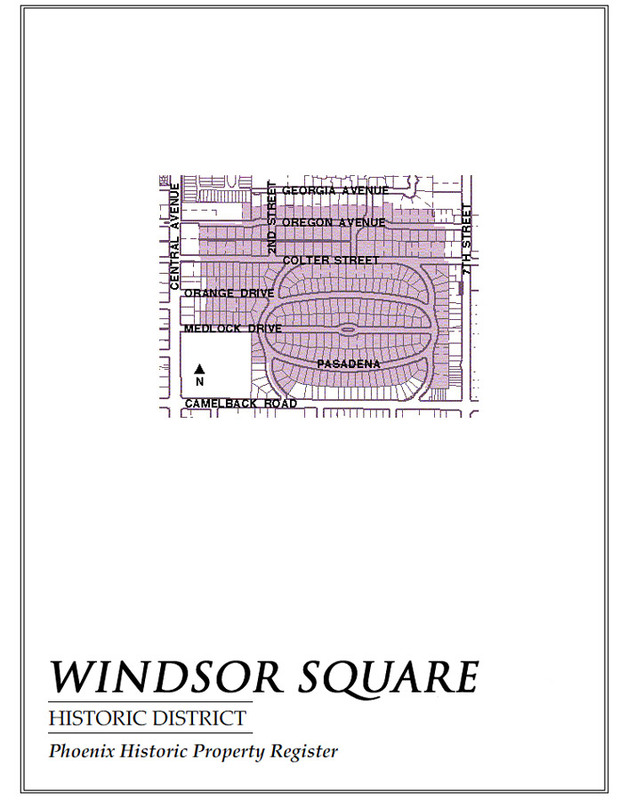 It’s hard to imagine why Windsor Square isn’t called Windsor Ovals since there is nothing remotely square about this neighborhood. The elliptical street layout in Windsor Square is a constant surprise to drivers who are accustomed to the grid-like regularity of the downtown streets of Phoenix, Arizona. Windsor’s curving streets (easy to get lost on if you don’t know your way around) set the pace for this calm, quiet residential neighborhood, one of the oldest “suburbs” of Phoenix. Yet a block or two away at Central and Camelback you have shopping (AJ’s Fine Foods at the Uptown Plaza, 5017 N Central), dining along Central (Don’s favorite is surely Postino Central, 5144 N Central), other retail shops (including CDs (and vinyl!) at locally-owned Stinkweeds, 12 W Camelback), and the light rail can get you downtown without worries about where to park. Homes here can be as old as the late 1920s and as new as the 1950s, thanks to the Depression that came along just in time to slow suburban development in Phoenix to a crawl. As a result, you will find custom designed Period Revival style Bungalows and Craftsman architecture along with transitional Ranch style homes. When you step inside, you may find a traditional interior that any purist would love or a totally contemporary space with an opened-up floor plan and all the modern conveniences. There are choices here for both tastes. The average home has about 1700 square feet, more generous than many of the historic homes in Phoenix. The lots in Windsor Square vary in size and shape as a result of those curvy streets which makes for visually interesting lawns that often hold gardens and maybe a pool in the back. If you like “residential” but want urban connectivity too, the mid-priced Windsor Square Historic District may be just your place. Medlock Historic District, just west of Central Avenue, may also be to your liking.